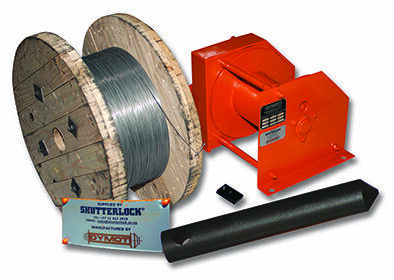 Included in our range of products is the Winch Plumbob, which is available in an extensive selection whether power operated or mechanically. 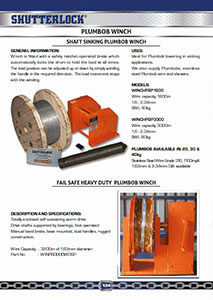 Winch is fitted with a safety ratchet operated brake which automatically locks the drum to hold the load at all times. The load position can be adjusted up or down by simply winding the handle in the required direction. The load movement stops with the winding. We also supply Plumbobs, stainless steel Plumbob wire and sheaves. Totally enclosed self sustaining worm drive. 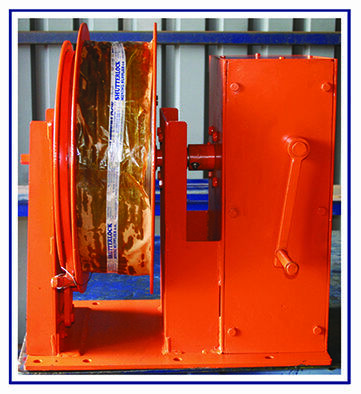 Manual band brake, base mounted, dual handles, rugged construction.